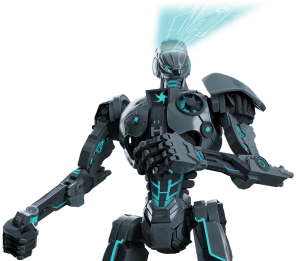 Now omnipresent in consumer goods and industrial products of all kinds, engineering plastics have long-proven their value in terms of technical performance and aesthetics. Their physical strength also makes them ideal as a lightweight replacement for metal in many cases. 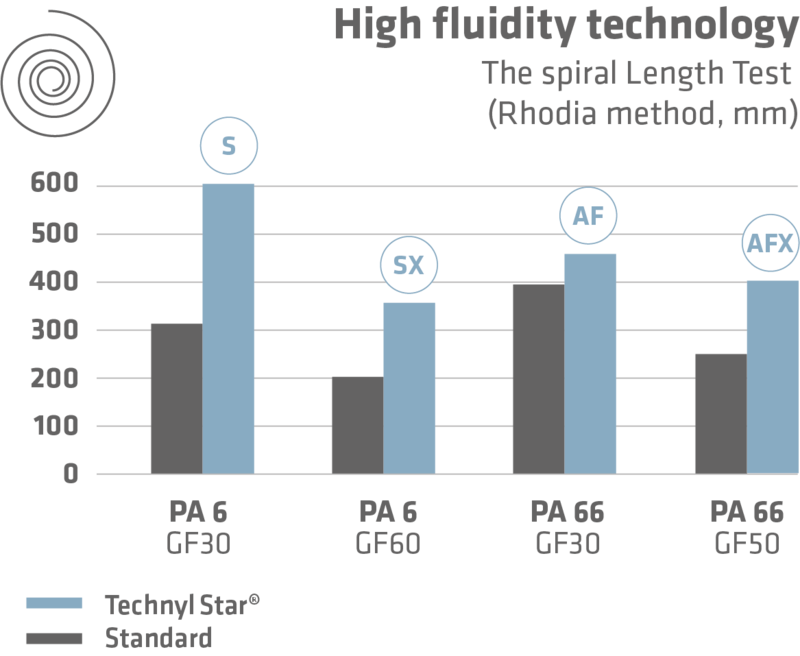 Technyl Star® is a high-fluidity range that combines outstanding mechanical performance and incomparable processability, giving manufacturers the ability to push their own product innovations into new areas. With Technyl Star®, switching from steel and other metals to plastic is not only a valid technical option, but a quality choice that makes good business sense. It’s time to unleash your product design potential. 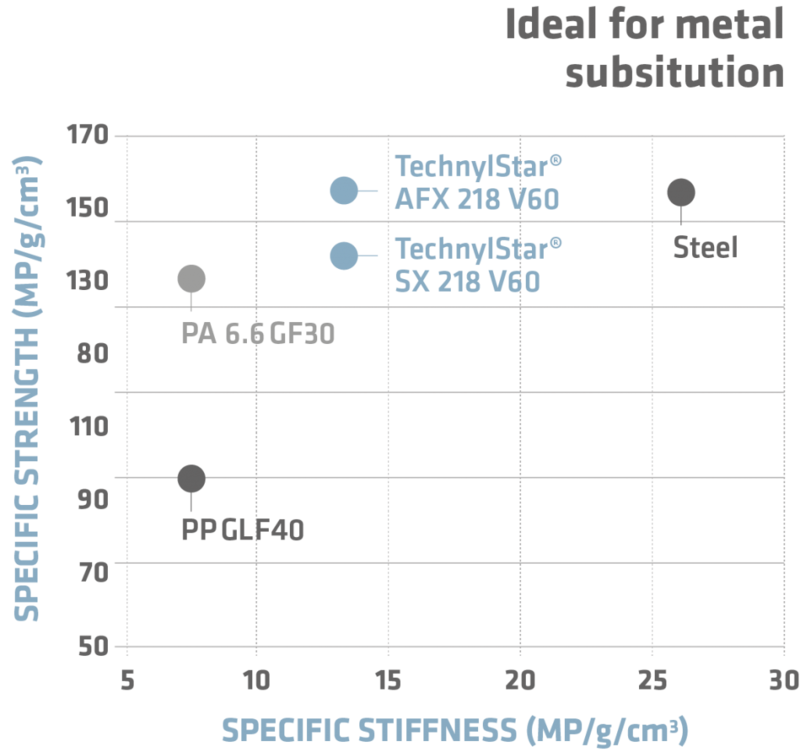 Technyl Star® offers a complete range of metal replacement solutions, from the medium-reinforced Technyl Star® S and AF for the ultimate in processing and molding efficiency, to highly-reinforced Technyl Star® SX and AFX for unprecedented weight reduction and rigidity.